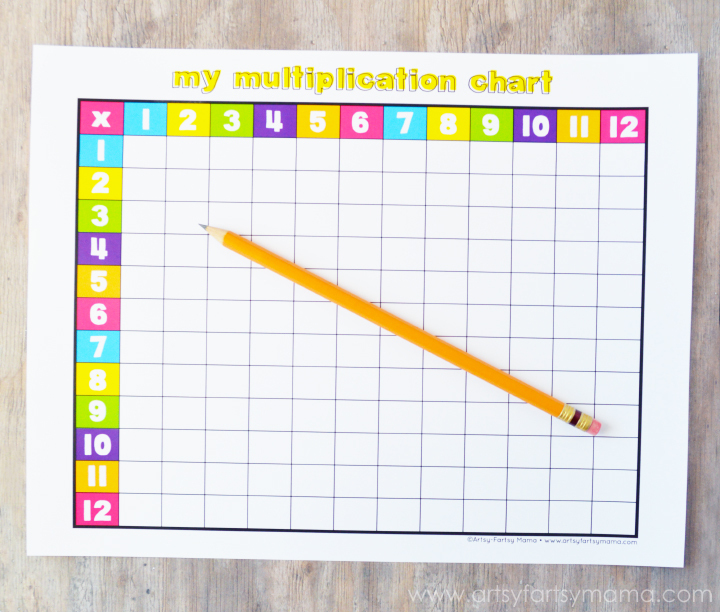 Help kids practice multiplication with a Free Printable Multiplication Chart! When it comes to working on multiplication, the more practice you can do, the better. We've been working hard on multiplication recently, and flashcards just aren't working as well as I thought they would. However, keeping a multiplication chart handy has helped tremendously. To help her better memorize the problems and work on handwriting at the same time, I created a blank multiplication chart for her to fill out on her own. She was so proud by the time she was done, and I immediately noticed that she was already feeling a bit more confident in her mathematics. 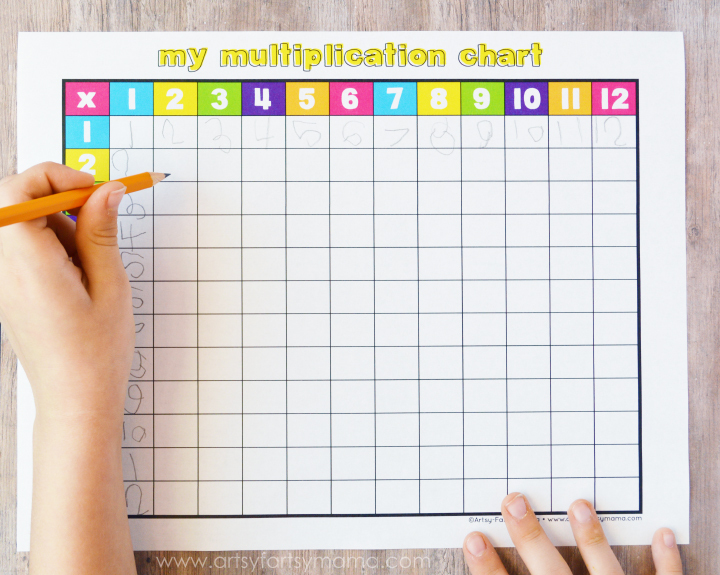 If you also have a child who needs a little help working on multiplication, or just want to get started, I hope that filling out their own blank multiplication chart will help. I have also created a multiplication chart that has already been filled in and ready to use if you'd rather use that. You were an answer to prayers! Just what we were looking for to help my granddaughter learn her multiplication tables! Thanks so much!